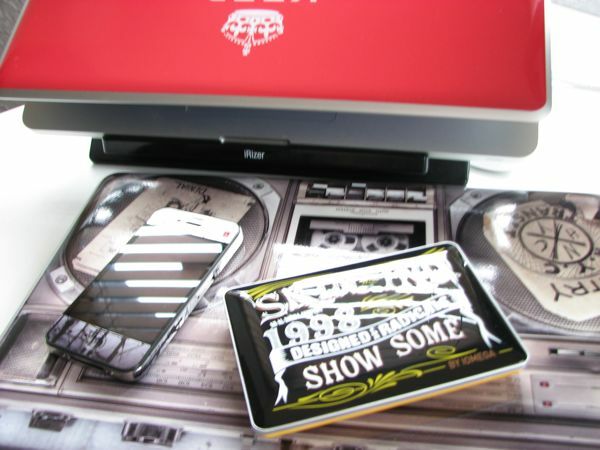 External hard drives have become somewhat uninteresting as of late. 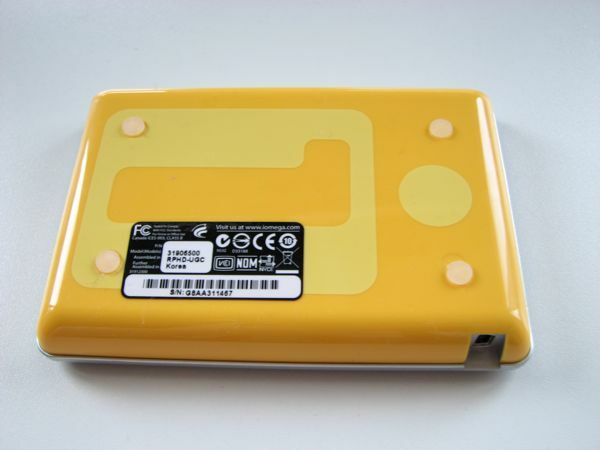 There’s not much inspiration and there’s certainly nothing unique about the current crop of portable drives. 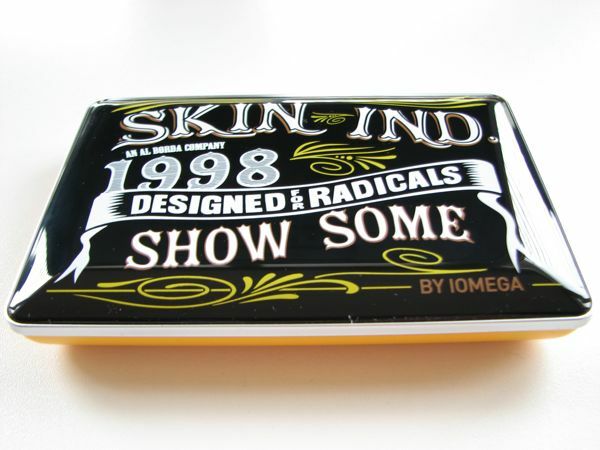 So when I was given the opportunity to check out the new Iomega drives styled by Skin Industries I was more than happy to be trigger happy with the camera. Drive capacities come in at 500GB on a 5400RPM spindle with USB 2.0 connectivity. Iomega Drop Guard technology helps protect the 2.5-inch drive up to 51-inch drops by parking the heads when it detects a free-falling motion. 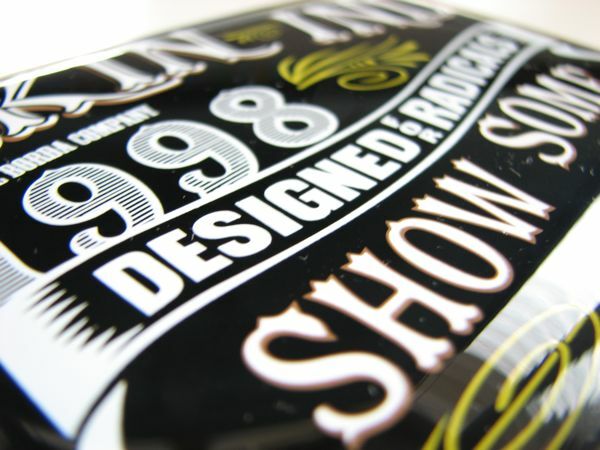 There are three designs available to choose from: Radical, Knock Out and Red Hot. I’ve been reviewing the Radical design with its retro paintwork consisting of bright and bold colours. 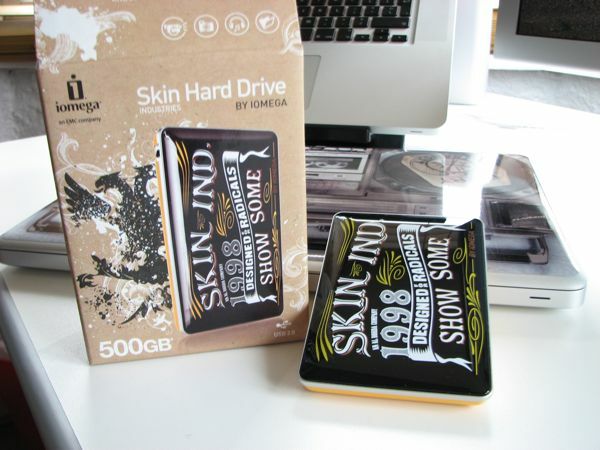 The drive certainly stands out amongst the crowd and if you’re on the ‘skinning’ bandwagon (as I have been) then you will find the Iomega Skin Hard Drives to be complimentary to other skinned devices. Build quality and the finish of the Iomega drive is solid with a quality glossy finish to the paintwork. There’s no creaking or flexing in the plastic and there’s a very slight texture to the design elements when you run your finger over the surface. All test are calculated based on three repeats of the same test where 172 files totalling 1GB were transferred from a MacBook Pro. The Iomega comes in at a respectable time when benchmarked against a faster desktop-class drive. This is by no means an exhaustive benchmark but gives you an indicator speed. Spindle noise is barely audible even with drive activity and at idle you might just notice the quiet hum in the background. Bundled with the drive are license keys for a 12-month copy of Trend Micro Internet Security, EMC Retrospect Express Backup, Iomega QuikProtect and MozyHome Online Backup (2GB online storage which is free anyway) – software available to download from the Iomega website. There is a slight premium to pay for the exclusivity of these drives. 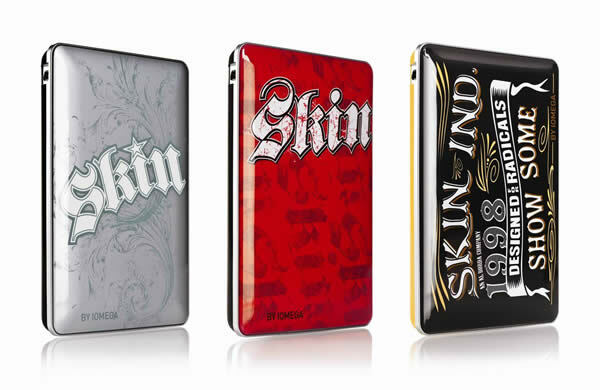 A 500GB portable USB hard drive from other competing brands will be priced around £60 with the Iomega Skin drive coming in at £77 – a small price to pay in my view for the funky designs.